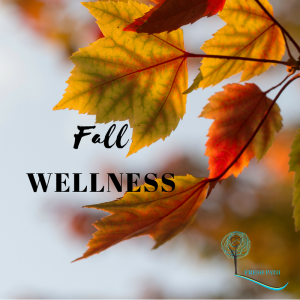 Here are 6 additional tips to keep you grounded and feeling well as we get into the thick of the autumn months. As the weather changes, so do our needs, goals, and hopes. The start of the September is great time to tune into what you’d like to focus on during the Fall season. Sluggish in the Fall? Maybe your goal is to stay connected to an exercise regimen. Think about how the season affects you and select goals that align with what you hope to change, move towards, or enhance. Apps can be a great way to help you track your progress, remind you of goals, and provide a general structure for DIY wellness. There’s an app for every intention you might have so whether it’s to try meditation for the first time, track your healthy habits, or battle back negative thinking, there’s an app for that! Switching to seasonal foods can help you continue (or re-boot) healthy eating habits by sticking with foods that are meant to be consumed during that season. Eating in-season means your foods are fresher and more likely to contain the healthy nutrients that they’re supposed to have. All those nutrients also helps boost your immune system which we know will be helpful come Flu season. Summer flings are definitely a thing but as the weather gets colder, we may soon find ourselves waving off hangouts for a Netflix-binging night. Staying connected throughout the winter months can stave off feelings of isolation, loneliness and depression. Make sure to put a few social events on the calendar with friends, make a date to volunteer, or trek up to a nearby hiking trail with a Meet Up group. Chances are you’ll be glad you did. Fall can be rough and the thought of Winter coming can induce sheer panic for some. Having something to look forward to can help keep you motivated over the months. Be it near or far, a weekend or longer, if you’re able to plan a getaway, you may find the season just a little easier to bear.